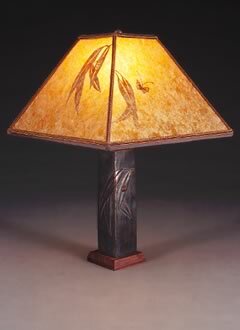 The Native American influence is apparent in this hand-cut border by Mary Shilman. 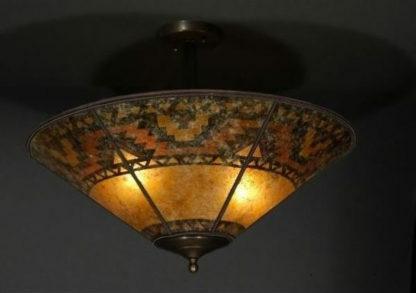 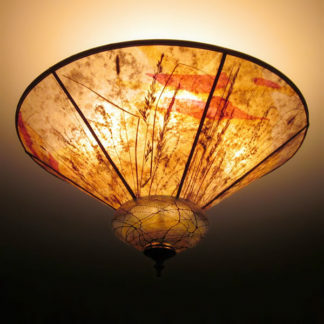 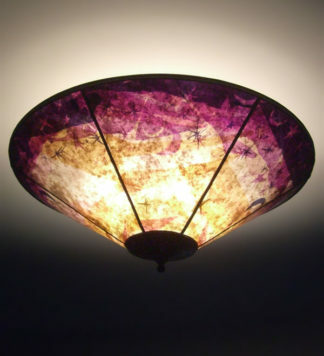 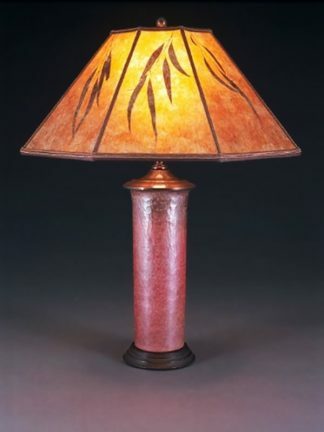 The rich amber mica and bold design recall the southwest, lamps glowing in the dusk. 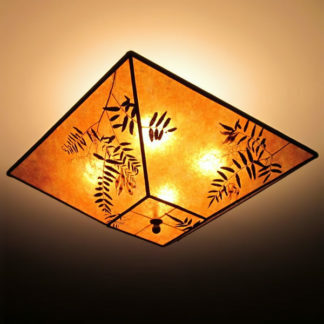 Bring lodge style lighting into your home.